Apr 15, 2019 / WORDS Jack Holt / Let your Woes slip away as these Scots regale you of tales from the Suburbs. With the addition of new guitarist Luke Bovill, Woes explore feelings of resentment and loss in new single Suburbs, their first release of 2019. The single, produced by Seb Barlow, and its accompanying video explore the emotional impact of losing a connection between a friend, packaged in a tale of teenage angst and suburbia. Suburbs features in a batch of new songs the band have been working on since the start of 2019, with influences of pop, R&B and Hip Hop all coming through during the song writing process. The band are set to embark on an 8 stop UK tour and supports for Millencolin in Europe and Trash Boat in the UK. 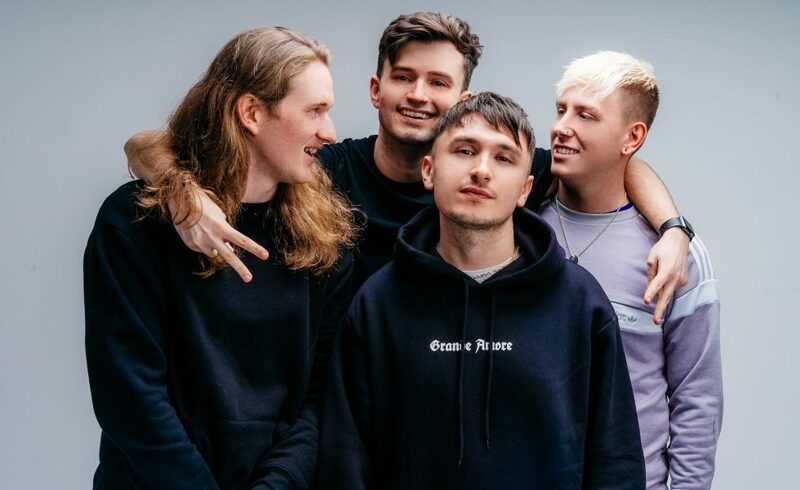 Suburbs is Woes first release since their debut EP Self Help in 2016, which got them supports on tours with bands like Frank Carter and the Rattlesnakes and Neck Deep and radio play on BBC Radio 1 Rock Show.